This is a list of black, African-American women who made a positive contribution to changing the world for the better. Often they had to overcome difficult and testing situations to improve their lives and those around them. 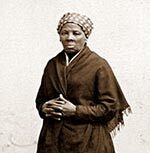 Harriet Tubman (1822 – 1913) A former slave who escaped and then returned to lead other slaves to freedom on the Underground Railroad. 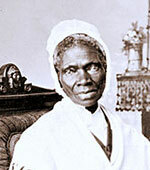 She became a well-known speaker on the experiences of slavery and advocate for the rights of African Americans and black women. 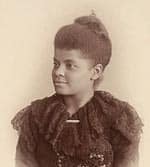 Ida Wells (1862 – 1931) Wells was a pioneering journalist and newspaper editor. She used her position to investigate the practice of lynching in the south. She highlighted the injustice faced by black people in the US. She was a fearless civil rights activist and female suffrage campaigner. She was a founder member of the NAACP in 1909. Rosa Parks (1913–2005) By refusing to give up her seat on a bus, Rosa Parks launched one of the most successful non-violent protests against discrimination in America. 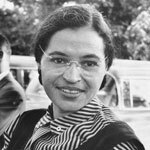 Rosa Parks became a modest but courageous figurehead for the civil rights movement and helped to achieve lasting change. 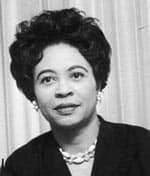 Daisy Bates (1914 – 1999) Bates was a journalist and civil rights activist. 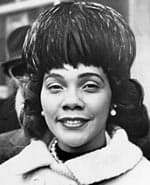 She played a leading role in the Little Rock, Arkansas integration crisis of 1957, which saw the federal government force desegregation onto a reluctant south. Bates, as a member of the local NAACP, played a key role in supporting the nine students chosen to enter the formerly white-only school. Eugenia Charles (1917-2005) a Dominican politician who was the first elected female Prime Minister of the Americas. She served from 21 July 1980 until 14 June 1995 – one of the longest-serving Heads of government. Maya Angelou . 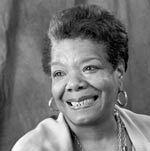 (1928-2014) American poet, writer and campaigner. Wrote a poem for Bill Clinton’s inauguration ceremony which expressed the hopes and aspirations of a whole generation. 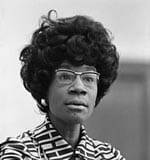 Shirley Chisholm (1924 – 2005) The first black Congresswoman, she was elected to the House of Representatives for NY in 1968. She used her time in Congress to campaign for women and civil rights. She served from ’68 to ’83 and was the first black women to run for the Democratic Presidential nomination. 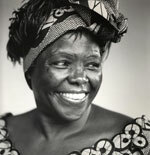 Wangari Maathai (1940 – 2011) Kenyan environmental and political activist, who led initiatives to plant trees and support the green belt movement. 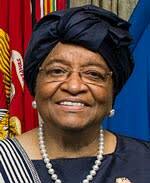 Was awarded the Nobel Peace Prize 2004 for her grassroots activist campaigns to improve environment and living conditions of those in Africa. Oprah Winfrey (1954 – ) Oprah came from humble beginnings to become one of the most influential tv personalities. Oprah has been a positive role model emphasising how women and black women can overcome obstacles to achieve great things. Citation: Pettinger, Tejvan. 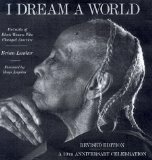 “Famous black women who changed the world”, Oxford, UK – www.biographyonline.net. Published 12th Aug 2013. Last updated 8 February 2018.